I was over at Patty’s helping her do a little cooking. She’s a terrific cook herself having been a home economics teacher, but she had a little handicap—a broken clavicle. OUCH!!! 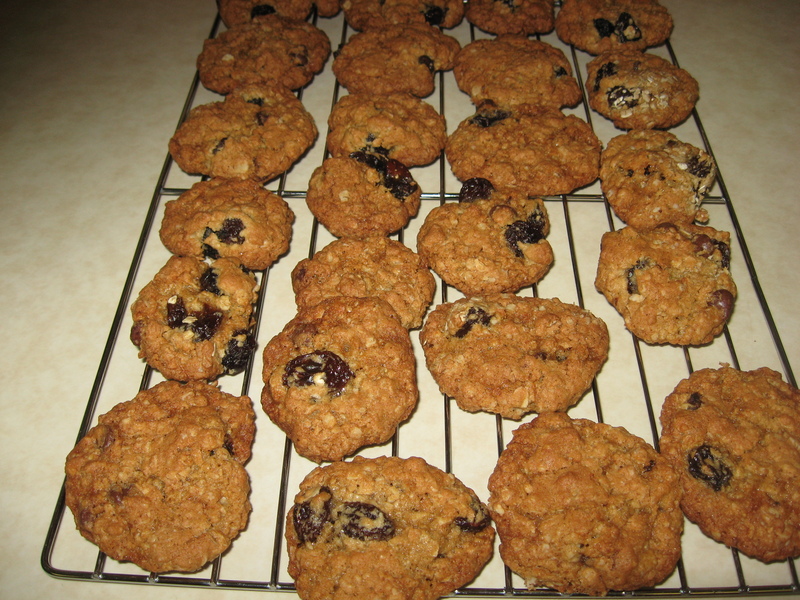 She introduced me to these fabulous cookies that her son, at age 7, (some 50 years ago) had introduced to her. He had cut out this recipe from a magazine and asked mom to make them. So, there you go; even younglings read recipes. 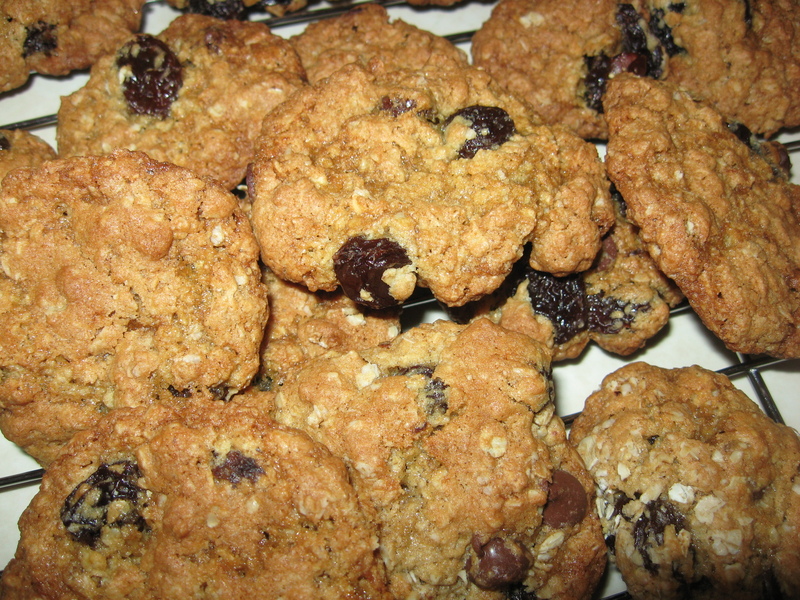 I think that these cookies turned out really tasty—and probably just due to one unique factor: the plumping of the raisins. 1/2 C. chocolate chips-optional–however if you do use them, reduce the amount of raisins to about 3/4 C.
In a small cup, beat the egg with the vanilla (you can use a fork or a whisk) and add to batter. Mix well. Whisk the flour with the soda and cinnamon and add to the batter. Add the oats to the batter. Drain the raisins and add them to the batter. The batter will be very thick, so it’s easiest to form 1- inch balls with your hands and place them on Teflon cookie sheets or sheets which are lined with parchment paper. You can line the balls up 3 in a row in a line of 5. Bake in pre-heated oven for about 12- 14 minutes. Let cool for about 5 minutes and then remove to a rack to coo l.
For a little variation, try putting 1/2 Tsp. vanilla and 1/2 Tsp. almond with butterscotch chips and milk chocolate chips along with 1/4 Tsp. anise seeds. You can even introduce shredded coconut and chopped nuts. It’s a very versatile recipe.